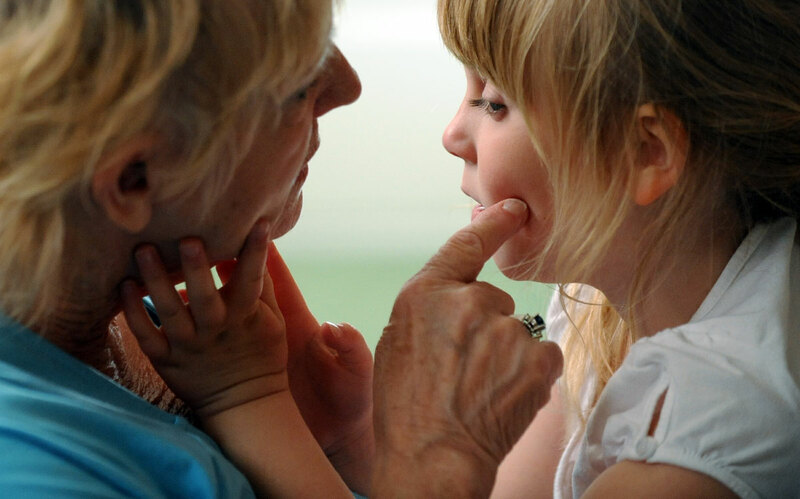 Young McKenzie communicates and discovers using her sense of touch as she caresses the cheek of her great grandmother, Gail Ertel. Ertel says schools have trouble coping with a little girl who has so many disabilities, so McKenzie has been homebound from school since 2008. The great grandmother says she'll continue taking care of her granddaughter in spite of losing the major government benefit that kept them afloat.